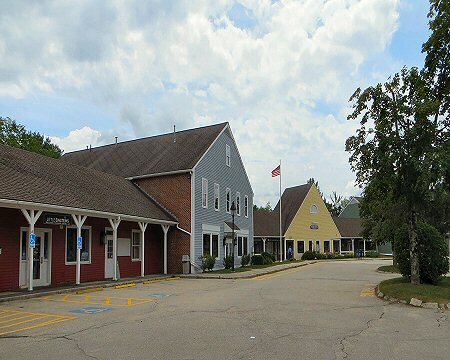 Location: The meeting place is a 50,800 square foot neighborhood shopping center located on Route 101 in Amherst. It is a high traffic location between Milford and Bedford/Manchester. 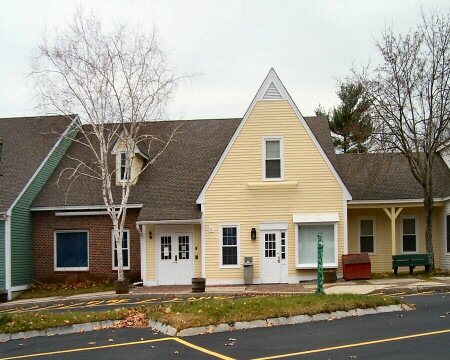 Tenants include the Amherst Post Office, Citizens Bank, medical practice, veterinary clinic, Robins Egg Antiques, etc. Building 3 (second floor): 4,065± rentable square feet- previously used as a yoga studio with three studio rooms, private office and kitchen. Utilities: Tenants are responsible for the costs of propane gas for heat, and electricity for lights, air conditioning, lights, and outlets etc. The property is serviced by private well and septic system. High speed internet is available from Comcast. Heating/ Air Conditioning: Propane gas forced hot air heat; electric air conditioning. Operating Expense Escalations: After the initial lease year, tenant will pay its pro rata share of any increase in the costs of real estate taxes, common utilities, common area maintenance and cleaning, etc. over the costs incurred in the first lease year. Signage: Exterior signage is permitted on the buildings subject to the sign master-plan and owner's permission. Location: The Meeting Place is located on a high-traffic section of Route 101 between Milford and Bedford/Amherst. Description: Neighborhood retail/office complex with excellent visibility on Route 101. Operating Expenses: After the initial lease year, a tenant will pay its pro rata share of any increase in the costs of real estate taxes, common utilities, common area maintenance and cleaning, etc. over the costs incurred in the first lease year. Utilities: Tenants are responsible for the costs of propane gas for heat and electricity for air conditioning and lights, outlets, etc. The property is serviced by private well and septic systems. Misc. : Tenants include the Amherst Post Office, Citizens Bank, two medical practices, veterinary practice, etc. The property now has available low cost high-speed internet access by Comcast.